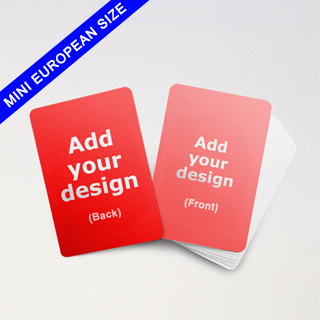 The Mini European Playing cards is a smaller size deck which is an extra feature to make your cards stand out and unique from the standard sized playing cards. This deck measures at 44m x 67mm, with the option to choose the deck size, you can choose from a deck of 54 up to a deck of 246 cards. We have three finishing options to consider, either the standard finish which features 300gsm casino quality card stock which has an aqueous coating (smooth finish). The premium finish, made from 310gsm casino quality cardstock which has a plastic coating (linen finish), this particular material originates from France and is non transparent when held up against light. Or the Superior finish, the material originating from USA, is made from 100% PVC and has a thickness of 0.325mm making them more durable and longer lasting. 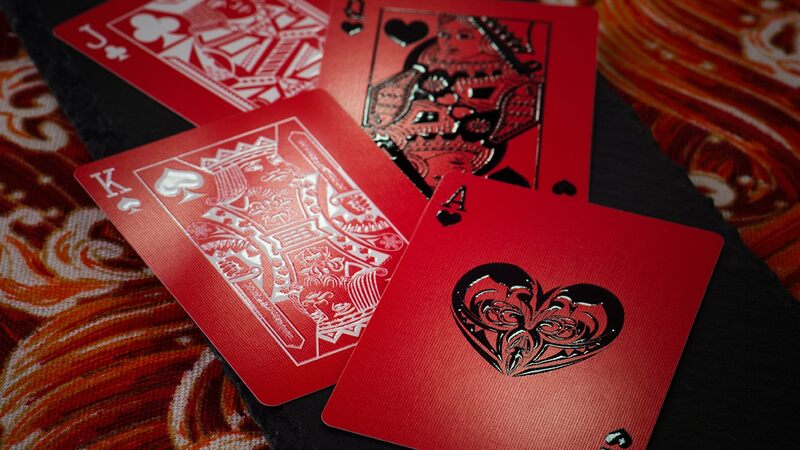 Once you have chosen the material for your deck, choose from our designs or you can upload your own playing card design using our online builder and add any text if necessary. You can fully customize your deck by placing your design on both the front and back as well as adding text on both sides. To make sure your designs are printed at the highest quality, please use high resolution images and create your designs with 300 DPI and CMYK color mode and see our bleeding and safe area guide to make sure your designs are printed to the best quality. 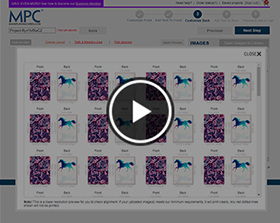 After your design is finalized, you can preview the final product and order your deck of playing cards. 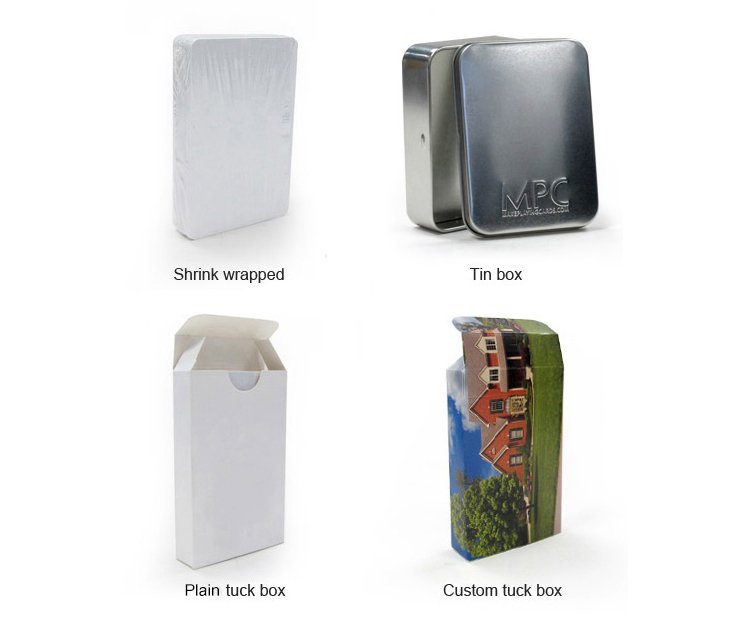 We provide worldwide shipping and your customized Mini European Playing cards will be delivered to you shrink wrapped to ensure protection during delivery. Makeplayingcards.com is a world renown printing and manufacturing company in the gaming industry, specializing in creating high quality customized playing cards for game companies, retail, education sector, corporate businesses and companies for fun who enjoy playing cards. Our online playing cards builder makes customizing a deck of playing cards with your designs, a simple and time efficient process. We offer a prototyping or full production service so you can bulk order or order just one deck as we have no minimum but still print the deck at full production quality. There is no setup cost for printing and we offer worldwide delivery.